Having been badly let down by not just one but two local web designers recently, the criteria for my third and (hopefully) final web designer, was reliability, helpful friendly service and a speedy build. I googled reviews and Geoff stood out. Everyone had commented on his professionalism and easy nature and I am pleased to say that this was also my experience. The price on his site and what was discussed at our meeting never differed and the whole experience was an absolute pleasure. He did not intimidate me with lengthy unnecessary jargon and made me feel completely in the loop at all times. I would not hesitate to recommend Geoff above any of his local competitors. In fact I am having another site built by him later this year and I know I will be equally impressed. Back in 2015 I was thinking about a web site for my local history books and pictures etc. I tried to start a site myself but this was useless to say the least. I then approached Geoff about building me a professional site in early 2016 to show all my pictures and associated history works off to the public, Geoff did no more than build me a site to be proud of; and today has scored a massive hit all over the globe with enquiries for information flooding in. Thanks Geoff. We made the mistake of trying to build our own website through Wix and at first we thought we were rather pleased with it. However after looking at our competitors websites we realised how wrong we were. At best it was plain and amateurish. At worst we concluded that although we were getting the odd visitor, no one was actually contacting us via our 'site'. So, after only a few months online we decided it was time to approach the professionals and via the ever popular 1066 online website we contacted Geoff at 1066 Internet. He was quick to react to our request and within days we had met to discuss the development of our new site. There was no hard sell, just a willingness to understand our requirements. It seemed like no time at all before we were the proud owners of a professional bespoke website and we were very impressed. Geoff has managed to get us up there on Google with the best of them in a short time and the enquiries started almost immediately. We feel the service and end result provided by Geoff and his company to be second to none and frankly can't recommend him and his knowledge of website building enough. We already had a website but it was looking tired, a bit dated, and not very mobile friendly. We approached Geoff and he visited us at home, listened to what we wanted from the website and added a few of his own ideas. During this visit he was very clear on what he could offer and how much it would cost, the work was completed quickly and competently, level of communication was good with Geoff being happy to make a few tweaks here and there. We are very happy with our new look website and have received many positive comments from our customers. It was a pleasure working with him. I engaged 1066 Internet's services after trying a number of different web site firms, who promised a lot, charged a lot, but delivered very little. After an online search I found Geoff, who conducted his services in an open and transparent way at a value for money price and the results were very good. He got my page back on the 1st page of Google for a number of search terms, very pleased. My decision to contact 1066 Internet for advice on improving my website has proved to be most rewarding. From initial contact and personal consultation, through to construction of a new website, Geoff Wolfe, webmaster at 1066 Internet, has provided a friendly professional service with prompt response to email enquiries, and knowledgeable advice and instruction. I am very pleased with the appearance and ease of use of the new site, and would not hesitate to recommend 1066 Internet. We had contacted Geoff without too much knowledge of how to prepare or implement a web site for our business. We only had ideas. Geoff personally met us, listened and produced a website that converted our ideas, thoughts and requirements to a very professional, readily usable, informative web site that we are delighted with. We highly recommend Geoff and his company without any hesitation. I approached Geoff at 1066 Internet to build and create a new site for my motorcycle sales business, Sargents of Sussex, following an unusual failure and the ultimate demise of my previous long established site. Time was of the essence, and I was immediately encouraged by Geoff's easy going manner, evident from our first telephone call. We arranged a meeting for the following day, and from that sole meeting, Geoff worked tirelessly to create a new site, from the ground up, which was fully functional and live on the web by the end of the sixth day. His communication, and accessibility to his clients particularly stands out, enabling speedy progress to be made. I couldn't recommend 1066 Internet highly enough. After my first meeting with Geoff I was impressed with his enthusiasm and professionalism, a few days later he had fleshed out our new site. We had one more meeting and very soon Geoff had created a fresh looking and accessible website that our business is proud of. I would certainly recommend 1066 Internet to anyone looking to create a successful web presence with the minimum of fuss at an affordable price. We are really pleased with Geoff’s work on our new web-site. He stepped in when we had been badly let down by another designer and accomplished more in 4 weeks than had previously been managed in 4 months. He was proactive and professional, delivered what he said he would, and was competitive in pricing. No VAT helped as well, as we are a small voluntary group. We are very pleased with the new site Geoff has set up for us. The graphics and design are very good, and the advice we received was most helpfull. The initial price quoted was competitive, and that was the price we paid at the end. Geoff's professional, yet friendly and helpfull service means we have no hesitation in recommending this business. As a local building and decorating firm, we decided we would benefit from having our own website which we thought would be a good form of advertising. One of our customers recommended 1066 Internet to help design our website as he was very impressed with the way 1066 Internet had designed his own website for his business and after taking a look at some of the sites they have created, we were very impressed with the attention to detail. We contacted 1066 Internet and they promptly visited our office to run through options etc. We found them very helpful from start to finish. Once we outlined the type of site we wanted and showed them some of our ideas they got to work on it straight away and created our site as it is today. We have found the site to be working very well for us, as we hoped it would and feel it is a great asset to our business and we wouldn’t hesitate in recommending 1066 Internet to anybody. Having relocated to East Sussex from Bromley, Kent, where I ran a successful painting and decorating business and didn’t need a website. I soon realised that, living in an area where no one knows me, I would need a website to promote my business. I searched the web and found 1066 Internet, and am so pleased I found them. After leaving an e-mail, within a day, they made contact with me and came to my home to discuss my requirements. After discussions about design and content, the team soon got to work on my website and in no time it was up and running. I am really pleased with the website they have created for me. I was very impressed with the speed and quality of their work. 1066 Internet is a professional, but friendly company, any question I wanted answered they were only too happy to answer. I would have no hesitation in recommending them. My business is teaching English to foreign students at my home. When I needed a new website a couple of years ago my husband Bob & I agreed that we wanted to use a local designer. After plenty of research Bob got in touch with a few promising looking web designers, and eventually chose Geoff. We sat down with him at the outset & talked through what we wanted from the site and how we wanted it to look. We agreed a plan, a price and a timescale and Geoff kept us posted on the progress throughout. He had plenty of good ideas to offer and made lots of helpful suggestions, and the resulting website really does look good. It’s generated a lot of business for us and many clients have told us that our website was instrumental in their choice of “homestay”. It’s professionalism gave them confidence in our own product. The site layout was nice and clear and they found it easy to navigate. It offered all the information they needed in an easy to read format, and gave them a clear picture of what to expect and what was on offer. My company has been trading in the building industry for over ten years and during that time I've employed a number of internet and web designers to create and improve web sites for each our three businesses. I've never been completely happy with the outcome which is very disappointing when you feel like you've spent a small fortune getting nowhere. I was fortunate enough to meet Geoff from 1066 Internet and we asked him to look at our website for Homewood Spas & Pools. Geoff immediately transformed our site and has increased our sales by improving our internet search ranking and adding a shopping cart. 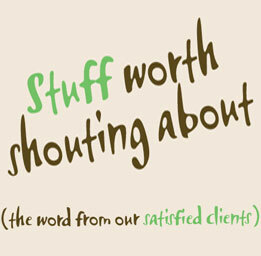 The business is now fully benefiting from Geoff's creative talents and I am so pleased that I give him my full trust. Geoff now makes monthly alterations and improvements to our website, which has seen business grow dramatically, increasing our sales. I can't recommend 1066 Internet highly enough. Thank you Geoff for the help you have given us. Plastipack Ltd has worked with Geoff of 1066 Internet since 2001, over the years improvements have been made to our website to match the company’s growth, the most recent updates were due to the launch of our four branded products. 1066 Internet have provided us with a professional, cost effective multi language website which has been designed both technically and visually well and is user friendly. The creation of our website showing our new company image has given our business credibility and the aftercare service ensures our website remains stable and maintained. I have been using 1066 internet to promote Athena Spas UK pool and spa products since 2003 and have enjoyed the whole experience. Geoff can take good ideas and turn them into fantastic ones very quickly. My original site was good but now with 1066 improvements it’s a great one and has now transformed into my main source of business. 1066 internet were highly recommended to me and now I can recommend them to anyone who is serious about using a web site to promote their business. Thanks Geoff look forward to updating soon. We were a new start business this year but members of the team have been in the industry for many years. We needed a clear and functional site to relay this knowledge and information to our potential customers. Geoff has been superb in transferring our thoughts and experience into a great website. He operates efficiently and is very cost effective. The site has generated a lot of comments and works well. There is going to be expansion in the future and I look forward to having the site taken to the next level. I would recommend 1066 internet for many reasons including technical competence, design ideas and cost. It really couldn’t have been easier! My company C E Access were looking for someone to take our site and make it work on a professional level. Geoff from 1066 Internet did exactly what we asked of him. He was able to take what was a very poor website and turn it into something we are proud to direct our customers to. The customer service from 1066 has been excellent and the backup help has been great. I would have no hesitation in recommending them. I knew that i needed to advertise my new business to as many people as possible, that I needed to make full use of the Internet. As I'm no expert, how could I do this? The answer was 1066 Internet. When I did a search, this site came up on the first page and when I looked at it in more detail, I was very impressed with how well it was presented and managed. I work in a specialist area of design and consultancy and Geoff helped to not only build a very impressive site but was also able to manage all my email needs. Optimisation for search engines has been amazing with lots of hits, i would defiantly recommend the services of Geoff in preparation of a web page. The support follow up services from 1066 has been first class - any little issues and they are sorted within a matter of hours.